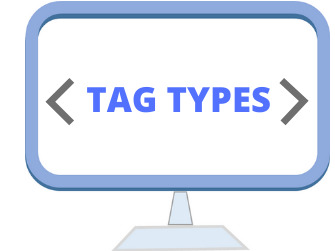 A tag is said to be a paired tag if the text is placed between a tag and its companion tag. In paired tags, the first tag is referred to as Opening Tag and the second tag is referred to as Closing Tag. Note: Here <i> is called opening tag. and </i> is called closing tag. An unpaired tag does not have a companion tag or closing tag. Unpaired tags are also known as Singular or Stand-Alone Tags. etc. These tags does not require any companion tag. We manage the size of the font, underline part of the text, make the text bold etc by using tags like <font>, <u>,<b> etc. Tables , Div, span tags are used for layout and formatting of content. Description , title , head , body etc are part of the page structure tags. They are part of the basic html page and does not directly affect the formatting of text or image. All form tags like input text box, dropdown list, radio buttons etc are used for interaction with user. These tags can be formatted by using style properties. I found the best answer on your site.Thank you very much!! thnx! u saved my life....cas I was in desperate need of tat answer!!!!! You refreshed my memory about tags. Thanks for enlightening me about it again. Thank you for your note. It is so helpful for me. thank u so much for uploading this it has helped a lot and i'm grateful into u It is so helpful for me thanks a lot. thnx.... I've got the gud ans... it saved me..